1. GENERAL. 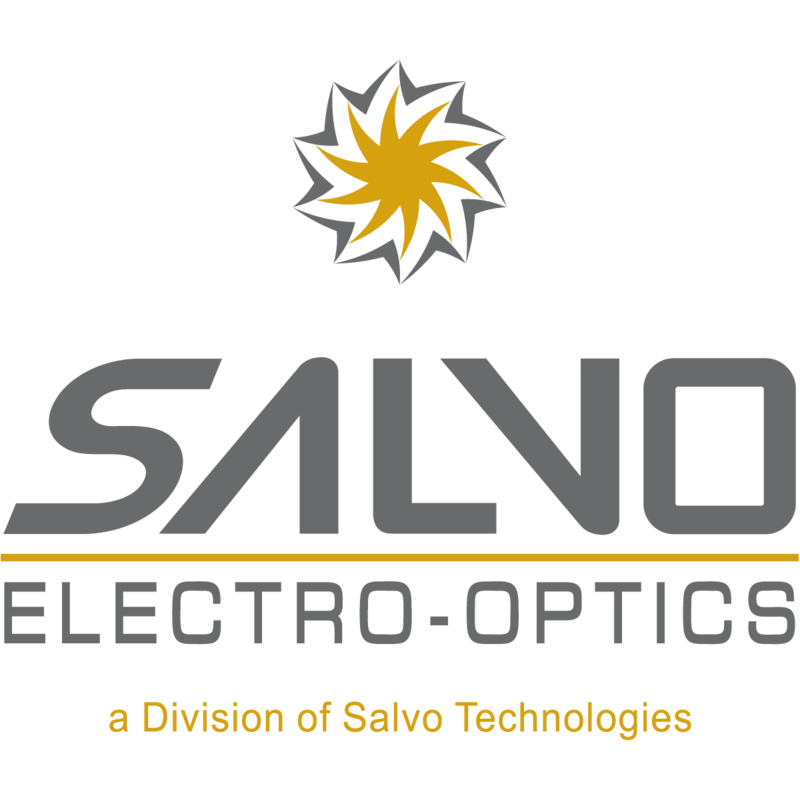 The Terms and Conditions of Sale contained herein apply to all invoices delivered, quotations made, and all purchase orders received or issued by Salvo Technologies including any of its subsidiaries (“Seller”), and acceptance by Seller of any order by confirmation or commencement of performance shall be on the basis of these Terms and Conditions of Sale. Any changes in the Terms and Conditions of Sale contained herein must specifically be agreed to in writing by an authorized representative of Seller before becoming binding on Seller. Any differing terms in conditions contained in any offer or order by Buyer are hereby rejected. 2. ACCEPTANCE OF ORDERS. All orders for Products from Buyer are subject to acceptance by Seller, and Seller reserves the right to accept or reject any orders in whole or in part. 3. ACCEPTANCE OF PRODUCTS. Buyer/Consignee shall have seven (7) calendar days from delivery to notify Seller in writing of its acceptance of Products. Failure to provide written notification within the seven day period shall be deemed to constitute Buyer’s acceptance. 4. PRICES. Prices quoted or acknowledged by Seller are firm to the quantities and the shipping schedules set forth in the quotation or order acknowledgment, but are subject to revision if quantities and/or shipping schedules are changed by Buyer. 5. TAXES. Unless otherwise specifically provided for in the quotation or order acknowledgment, the amount of any federal, state and local taxes, excise, duties, tariffs or other similar fees applicable to the Products covered by Seller quotations, orders, or the manufacture or sale thereof, shall be added to the purchase price and shall be paid by, and are the responsibility of, the Buyer, or in lieu thereof Buyer shall provide Seller with a tax exemption certificate acceptable to the taxing authorities. 6. DELIVERY. Shipment of Products shall be F.O.B. origin. Shipping costs are the responsibility of the Buyer. Shipping dates are approximate and are based on prompt receipt from Buyer of all necessary information. Seller may deliver ahead of schedule without penalty and receive payment accordingly. Seller reserves the right to make partial shipments. 7. TRANSPORTATION. All sales are made F.O.B. origin. All claims for loss or damage must be filed by Buyer with the carrier. Unless specific instructions are given by Buyer, Seller will use the most economical carrier and mode feasible unless Buyer specifies otherwise. 8. PAYMENT AND TERMS. All invoices on all terms are due and payable 30 days from the date of invoice unless otherwise specified. Proforma Invoices for consignment product must be paid by consignee within 90 days of receipt of product or all product must be returned within the same 90 days. Consignment product not returned is considered purchased and nonrefundable or returnable per return policy. No discounts are allowed unless agreed to in writing by Seller. Invoices remaining unpaid after their due date will be subject to an interest charge of 3% per month (or the maximum rate allowed in Buyer’s State, if lower) from their due date until paid. Buyer will pay all costs and expenses of collection of overdue accounts, including reasonable attorney’s fees. Each Purchase Order shall be considered a separate and independent transaction, and payment therefore shall be made accordingly. Unless otherwise specified, Seller shall invoice upon delivery of the goods to the buyer or the carrier. If shipment is delayed by Buyer, Seller has the right to invoice on the date it is prepared to make shipment. If the work covered by the purchase order is delayed by Buyer, the invoiced amount shall be based on the purchase price and the percentage of completion. Products held for Buyer shall be at the risk and expense of Buyer. If, in the judgment of Seller, the financial condition of Buyer at any time does not justify continuation of production or shipment on the terms of payment originally specified, Seller may require full or partial payment in advance. In the event of bankruptcy or insolvency by Buyer or in the event any proceeding is brought by or against Buyer under the bankruptcy or insolvency laws, Seller shall be entitled to cancel any order then outstanding and shall receive reimbursement for its cancellation charges. 9. INTELLECTUAL PROPERTY. Buyer may not, and hereby agrees not to, remove or alter any copyright or trademark information of Seller. Buyer hereby agrees to take all commercially reasonable steps to protect the copyrights, trademarks and other intellectual property rights of Seller and in all events not less than the steps Buyer takes to protect its own intellectual property rights. Buyer shall reference and acknowledge Seller’s products by name, together with all appropriate legal marks therewith, in all End Use, End User manuals, technical documentation, and consumer related and available information vehicles, and shall acknowledge Seller as the owner thereof and shall not claim ownership thereto or any rights therein other than the specific license rights herein provided. Nothing contained in the order documentation, these Terms and Conditions of Sale, or any course of dealing or course of performance shall, by express grant, implication, estoppel or otherwise, create any right, title, interest, ownership or license in or to Seller’s inventions, patents, technical data, computer software, or software documentation. Any rights not expressly granted in this Agreement are reserved by Seller. Nothing contained in the order or these Terms and Conditions of Sale shall grant to Buyer the right to make commitments of any kind for or on behalf of Seller without the prior written consent of Seller. 10. OWNERSHIP AND RIGHTS IN DATA. Seller does not convey, nor does Buyer obtain, any right in the technology, design, data or software utilized or developed by or for Seller, whether such technology, design, data or software is developed specifically for performance of this order or otherwise. Seller shall retain all rights and title to, ownership of, and interest in all intellectual property rights related to such technology, design, or data. 11. LIMITED WARRANTY. The Buyer will inspect and reasonably test each Product upon receipt and prior to use for any warranty claim, as described below, to be valid. Seller’s sole and limited warranty with respect to its Products is that upon delivery Products shall be free from defects in and arising from the assembly, manufacture, material, or workmanship of said Products; provided, however, that such warranty does not apply to problems that arise from such things as, but not limited to (i) accident, negligence or misuse; (ii) problems relating to or residing in other components, items or services with which the Product(s) are used; (iii) use, storage or maintenance not in accordance with Seller’s instructions, maximum ratings and operational guidelines, or specifications; (iv) use in an environment, in a manner or for a purpose for which the Product was not designed nor legally allowed; or (v) any modification, disassembly (partial or full), alteration or repair by other than Seller or an authorized representative of Seller’s choosing. Seller’s entire liability and obligation to Buyer under this warranty shall be expressly limited to the repair or replacement, as Seller may determine at its sole discretion, of any defective or nonconforming hardware Product for which Buyer has first given written notice to Seller of such defect or nonconformity in the manner as provided below. No warranty is offered, expressed or implied, on any 3rd party products incorporated in and/or sold by Seller to Buyer. No claim under this warranty shall be valid unless within twelve (12) months of its receipt of any merchandise hereunder, Buyer shall furnish Seller, in writing, notice of any defect in materials or workmanship or nonconformity specifying in detail any such defect or nonconformity. Absent such timely notice, Buyer shall be deemed to have waived any such defect or nonconformity that could have been determined by a reasonable inspection and testing of such goods. With respect to orders contemplating a series of shipments of merchandise by Seller to Buyer, unless Buyer notifies Seller in writing within twelve (12) months of the initial shipment of any nonconformity with any applicable specifications, then Buyer shall be deemed to have waived such nonconformity with respect to subsequent shipments involving the same specifications. Other than with respect to the repair or replacement of defective merchandise by Seller under the limited warranty as provided above, Seller shall have no obligation to Buyer with respect to any monetary damages by reason of any such nonconformity or defect, and in no event shall Seller be liable to Buyer for any lost profits or consequential damages. Seller shall have the option, exercisable in its sole discretion, of requiring the return to it or an authorized representative of the defective merchandise, transportation prepaid, for inspection. In the event that some, but not all items of merchandise are defective within the terms of the limited warranty set forth above, the repair or replacement of merchandise at Seller’s option shall apply only to such defective items falling within the terms of such limited warranty and Buyer shall have no right to return or seek credit for any items not so defective. SELLER DISCLAIMS ALL WARRANTIES, WHETHER EXPRESS OR IMPLIED, INCLUDING BUT NOT LIMITED TO IMPLIED WARRANTIES OF MERCHANTABILITY, NONINFRINGEMENT, AND FITNESS FOR A PARTICULAR PURPOSE. 12. NON-WARRANTED REPAIRS. For damaged Product NOT covered by warranty such as, but not limited to, components that are dislocated, dislodged, or cracked and/or where printed circuit board traces or solder joints are broken or cracked, and where product MAY be repairable, Seller will provide quotation for such work to Buyer. Return shipping and handling costs paid by Buyer. 13. RETURN FOR REPAIR POLICY. Buyer must obtain a Return Material Authorization from Seller prior to shipping any Product back to Seller for review and/or repair. All returns for repair are to be sent prepaid by Buyer. 14. RETURNS. Buyer is responsible for shipping and delivery of all returned product in new condition. Returns will be evaluated by seller for condition and approved solely by the seller. No non-warranty returns are offered on any sale or consignment after 90 days. 15. SUPPORT SERVICES. This Agreement does not obligate Seller to provide Buyer any support, upgrades, patches, enhancements, or fixes for the Products (collectively, “Support”); however, any such Support that Seller may make available in its sole discretion shall become part of the Products and subject to this Agreement. Buyer may request support services and Seller may provide support services, as it may choose, at Seller’s then current services and support rates. 16. LIMITATION OF LIABILITY. Seller’s sole liability and Buyer’s exclusive remedy for damages from any cause whatsoever (and regardless of the form of action) shall be limited to the repair or replacement, at Seller’s sole option, pursuant to the limited warranty set forth above in Section 11. IN NO EVENT SHALL SELLER BE LIABLE FOR INCIDENTAL, INDIRECT, SPECIAL, PUNITIVE OR CONSEQUENTIAL DAMAGES, INCLUDING, WITHOUT LIMITATION, LOST PROFITS, REVENUE, BUSINESS OPPORTUNITY OR LOSS TO OTHER MACHINERY OR EQUIPMENT OF WHICH A PRODUCT OF SELLER IS A PART, REGARDLESS OF THE FORM OF ACTION, WHETHER IN CONTRACT, TORT (INCLUDING NEGLIGENCE), STRICT PRODUCT LIABILITY OR OTHERWISE, EVEN IF SELLER HAS REASON TO KNOW OR HAS BEEN ADVISED OF THE POSSIBILITY OF SUCH DAMAGES. Buyer shall hold harmless and does hereby indemnify Seller of any liability associated with the use, or misuse, of the Product(s) whatsoever. The Buyer is liable and responsible to ascertain appropriate use and to obtain permissions, licenses, etc. as may be required. Buyer may pass on to its End User(s) the Seller’s standard limited warranty, as set forth above, including the limitations provided herein. Any warranty granted by Buyer that exceeds Seller’s standard limited warranty shall be at Buyer’s own risk and expense, and Buyer shall indemnify Seller from any liability therefor. (a) Buyer agrees to comply, and will ensure that its employees, agents, personal service contractors and consultants with all applicable U.S. export control laws and regulations, specifically including, but not limited to, the requirements of Arms Export Control Act, 22 U.S.C.2751-2794, the International Traffic in Arms Regulations (ITAR), 22 C.F.R. 120 et seq., and the Export Administration Regulations, 15 C.F.R. 730-774; including the requirement for registration with the Directorate of Defense Trade Controls as required by the ITAR, and obtaining any export license or agreement, if applicable. Without limiting the foregoing, Buyer agrees that it will not transfer any export controlled item, data, or services, to include transfer to foreign persons or others under contract to Buyer or Buyer’s lower-tier suppliers, without the authority of an export license, agreement, or applicable exemption or exception. In the event that Buyer anticipates utilizing foreign nationals or sources for any work under this Contract, Buyer shall notify Seller ten (10) working days before either applying for an export license under International Traffic in Arms Regulation (ITAR), or the Export Administration Regulations. This notification to Seller shall not be construed as an application for an export license, nor shall it in any way be interpreted to impede the subcontractor’s right to apply for an export license. (b) Buyer shall immediately notify Seller if Buyer is, or becomes, listed in any Denied Parties List or if Buyer’s export privileges are otherwise denied, suspended or revoked in whole or in part by any U.S. Government entity or agency. (c) Buyer shall be responsible for all losses, costs, claims, causes of action, damages, liabilities and expense, including attorneys’ fees, all expense of litigation and/or settlement, and court costs, arising from any act or omission of Buyer, its officers, employees, agents, suppliers, or subcontractors at any tier, in the performance of any of its obligations under this clause. 18. CONFIDENTIAL INFORMATION. To the extent that a valid nondisclosure agreement does not apply to the sale of Products under these terms and conditions, the following applies: Buyer agrees that all inventions, algorithms, know-how, ideas, and all business, technical and financial information it obtains from Seller, not otherwise contained in Seller’s normal sales literature, are the confidential information and property of Seller and/or its suppliers (“Confidential Information”). Except as expressly and unambiguously allowed herein, Buyer will hold in confidence and not use or disclose any Confidential Information except as expressly permitted by or required to achieve the purposes of this agreement. Buyer’s nondisclosure obligation will not apply to information it can document is generally available to the public (other than through breach of this Agreement). Because of the unique and proprietary nature of the Confidential Information, it is understood and agreed that Seller’s remedies at law for a breach by Buyer of its obligations under this Section 17 will be inadequate and that Buyer will be entitled to equitable relief (including without limitation provisional and permanent injunctive relief and specific performance) in addition to any other remedies. 19. FORCE MAJEURE. Seller shall not be liable for any failure or delay in manufacture or delivery resulting from any cause beyond the reasonable control of Seller, including by way of illustration and not by way of limitation, compliance by Seller with any governmental regulation, or from acts of God, fires, or other casualty or accident, strikes, lockouts, factory shutdowns or alterations, embargos, riots or other disorders, delays or shortages in transportation, or inability to obtain sufficient quantity of fuel, power, labor, manufacturing facilities of materials or other supplies from the usual sources of Seller. In addition, Seller shall not be held to the price of the Product in its quotation and/or order acknowledgment if the cost of materials needed for Seller’s manufacturing process of the Product, as the result of events listed in this paragraph, and being beyond the reasonable control of Seller, would increase beyond what can normally be expected during the life of the contract. Should such cost increases occur, Seller and Buyer agree to renegotiate the price for the Product based on the actual cost increases to Seller for Buyer’s Product as a result of said price increases of materials used in the manufacturing of the Product(s) in question. 20. CANCELLATION. Cancellation of orders will be subject to a cancellation charge based on the following schedule, or the value of material and work performed on the cancelled Product at the time of cancellation, whichever is larger. Cancellation policy not applicable to Product under way on behalf of Buyer or that is already shipped and / or delivered to Buyer. 21. DISPUTES. The parties shall attempt to resolve any dispute arising under or related to this Agreement within thirty (30) days of notice by one party to the other that a dispute exists. If the dispute cannot be resolved within thirty (30) days of such notice, an executive from each shall attempt to resolve the dispute. If such dispute cannot be resolved within sixty (60) days of such, representatives of the Parties shall meet to consider methods of alternative dispute resolution. If such dispute cannot be resolved within ninety (90) days and there is not an alternative dispute resolution process agreed to, either party may file suit in Pinellas Park Florida. 22.1 Assignment. This Agreement is not assignable or transferable by Buyer without the prior written consent of Seller; any attempt to do so will be null and void. This Agreement is assignable by Seller to any successor to all or substantially all of its assets or business. 22.2 Independent Parties. The Parties agree that they are each independent entities and nothing in this Agreement will be deemed to establish a joint venture, partnership, agency or employment relationship between the parties. Neither party has the right or authority to assume or create any obligation or responsibility on behalf of the other. 22.3 Applicable Law and Forum. This Agreement will be construed under the laws of the State of Florida, without regard to conflicts of laws provisions thereof. Any dispute shall be brought exclusively in the Federal or State courts located in the state of Florida. Buyer irrevocably consents to the jurisdiction of the Federal and State courts located in the State of Florida. 22.5 Complete Agreement. If any provision of this Agreement is unenforceable or invalid, that provision will be limited or eliminated to the minimum extent necessary so that this Agreement will otherwise remain in full force and effect and enforceable. This Agreement is the complete and exclusive statement of the mutual understanding of the parties and supersedes all previous written and oral agreements and communications relating to the subject matter of this Agreement.